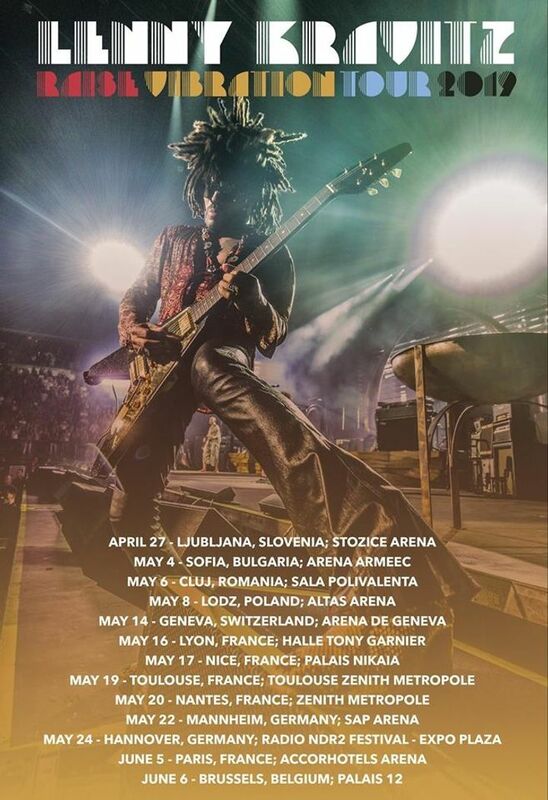 Set for release in September, RAISE VIBRATION will mark Lenny Kravitz’s 11th studio album (CD and 2LPs in multiple standard and deluxe formats). Raise Vibration is now available everywhere! New 2019 Europe dates have just been announced, with more to come soon. Lenny and his band tore it up ! He’s like Han Solo taking you for a trip on the Millennium Falcon thru an asteroid field. Thanks for the ride dude ! Amazing! My first Lenny concert 😄 I can't believe I waited this long, but his performance was definitely worth the wait. Love me some Lenny Kravitz!!! What a great show! This was my first time seeing him live and will see him every time he comes to the Bay Area! So much fun and he was great with the audience. Thanks for making it a general admission show and allowing me to be in the second row! Fantastic concert! So much energy! Lenny and his band are all world-class musicians! So glad we were in the pit, sharing Lenny’s energy among everyone there!